Integrate technology in the teaching-learning of mathematics, key factors. En este artículo se discuten los factores que influyen en la integración de la tecnología en los procesos de enseñanza y aprendizaje de las matemáticas: valor pragmático: relacionado con el potencial de la tecnología para realizar nuevos acciones o lo mismo que se puede hacer sin ella pero de forma eficiente; valor epistémico: relacionado con el aporte que tiene en el aprendizaje, poniendo el acento en que no es algo intrínseco a la tecnología sino que a las tareas mediadas por esta; la flexibilidad y cercanía de los recursos con el currículum efectivo, participación de los profesores en los procesos de selección, validación y creación de los recursos; los costos materiales, temporales e instrumentales y el apoyo institucional. Finalmente se discute sobre la interrelación entre estos factores y como se pueden tensionar mutuamente, mostrando que la integración es un desafío multidimensional que no permite alcanzar el óptimo en cada uno de ellos. Abboud-Blanchard, M. (2014). Teachers and Technologies : Shared Constraints, Common Responses. In A. Clark-Wilson, O. Robutti, & N. Sinclair (Eds. ), The Mathematics Teacher in the Digital Era (pp. 297–317). Abboud-Blanchard, M., Cazes, C., & Vandebrouck, F. (2007). Teachers’ activity in exercises-based lessons some case studies. In D. Pitta-Pantazi & C. Philippou (Eds. ), Proceedings of the 5th congress of the European society for research in mathematics education (pp. 1827–1836). Larnaca: Department of Education - University of Cyprus. Abboud-Blanchard, M., & Emprin, F. (2009). Pour mieux comprendre les pratiques des formateurs et de formations TICE. Recherche et Formation, 62, 125–140. Ancsin, G., Hohenwarter, M., & Kóvacs, Z. (2013). GeoGebra goes Web. The Electronic Journal of Mathematics and Technology, 7(6), 412–418. Artigue, M. (2002). Learning mathematics in a CAS environment: The genesis of a reflection about instrumentation and the dialectics between technical and conceptual work. International Journal of Computers for Mathematical Learning, 7(3), 245–274. Balacheff, N. (2000). Entornos informáticos para la enseñanza de las matemáticas: complejidad didáctica y expectativas. In M. Gorgorió & J. Deulofeu (Eds. 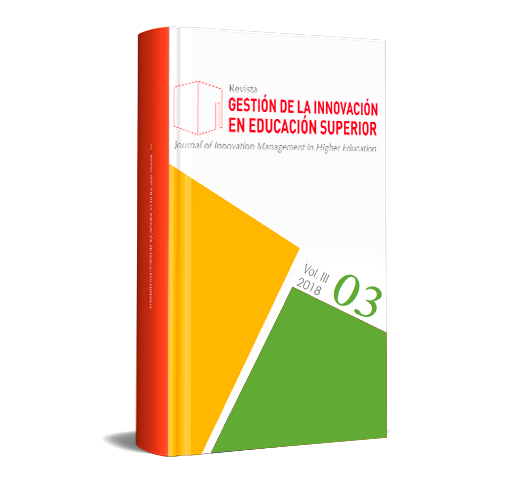 ), Matemáticas y educación: Retos y cambios desde una perspectiva internacional (pp. 70–88). Barcelona: Editorial Grao. Berg, C., & Boote, S. (2015). Format Effects of Empirically Derived Multiple-Choice Versus Free-Response Instruments When Assessing Graphing Abilities. International Journal of Science and Mathematics Education. Bozkurt, G., & Ruthven, K. (2017). Classroom-based professional expertise: a mathematics teacher’s practice with technology. Educational Studies in Mathematics, 94(3), 309–328. Briant, N., & Bronner, A. (2017). La prise en compte des nombres idécimaux pour le traitement du concept d’équation : une variable didactique oubliée. Recherches En Didactique Des Mathématiques, 37(1), 101–143. Cornu, B., & Ralston, A. (1992). The influence of computers and informatics on mathematics and its teaching. Paris: Unesco. Drijvers, P. (2015). Digital Technology in Mathematics Education: Why It Works (Or Doesn’t). In Selected Regular Lectures from the 12th International Congress on Mathematical Education Digital (pp. 135–151). Springer International Publishing. Drijvers, P. (2016). Evidence for benefit? Reviewing empirical research on the use of digital tools in mathematics education. In 13th International Congress on Mathematical Education (pp. 24–31). Duval, R. (2006). Un tema crucial en la educación matemática: La habilidad para cambiar el registro de representación. La Gaceta de La Real Sociedad Matemática Española, 9(1), 143–168. Ertmer, P. A. (2005). Teacher pedagogical beliefs: The final frontier in our quest for technology integration? Educational Technology Research and Development, 53(4), 25–39. Escribano, J., Kuzniak, A., Richard, P., & Gómez-Chacón, I. (2015). Proceedings Mathematical Working. Madrid. Falcón, R. (2010). Modelado dinámico en 3D : construcciones arquitectónicas. In I Jornadas sobre GeoGebra de Andalucía. Gaona, J. (2016). Análisis de la concepción de un banco de problemas en línea, aleatorios para la evaluación en matemáticas. In I. Gómez-Chacón, A. Kuzniak, N. Kostas, P. Richard, & L. Vivier (Eds. ), Actas Quinto Simposio Internacional ETM (pp. 369–383). Florina: Faculty of Education - University of Western Macedonia. Gaona, J. (2018). Instructors’ decision making when designing resources: the case of online assessments. In V. Giritana, T. Miyakawa, M. Rafalska, & S. Soury-Lavergne (Eds. ), Re(s)sources 2018 International Conference (pp. 279–282). Lyon: École Normale Supérieure de Lyon. Gaona, J., & Marquès, D. (2018). Développer dans Moodle une base d’exercices mathématiques en ligne. Problématiques croisées entre didacticiens et informaticiens : le cas de Wiris au Chili. Cahiers Du Laboratoire de Didactique André Revuz, 19, 23–32. Gómez-Chacón, I., & Kuzniak, A. (2011). Les espaces de travail géométrique de futurs professeurs en contexte de connaissances technologiques et professionnelles. Annales de Didactique et de Sciences Cognitives, 16, 187–216. Gómez, P., Molina, M., & González, M. J. (2009). Escalamiento en educación matemática. In Investigación en Educación Matemática XXIII (pp. 237–246). Santander: Sociedad Española de Investigación en Educación Matemática, SEIEM. Gueudet, G., Pepin, B., & Trouche, L. (2013). Collective work with resources: an essential dimension for teacher documentation. ZDM - Mathematics Education, 45(7), 1003–1016. Gueudet, G., & Trouche, L. (2008a). Conceptions et usages de ressources pour et par les professeurs, développement associatif et développement professionnel. Dossiers de l’ingénierie Éducative, 65, 76–80. Gueudet, G., & Trouche, L. (2008b). Du travail documentaire des enseignants: genèses, collectifs, communautés. Éducation Et Didactique, 2(3). Guin, D., & Trouche, L. (2004). Intégration des TICE : concevoir, expérimenter et mutualiser des ressources pédagogiques. Repères. Num., 55, 81–100. Hohenwarter, M., & Lavicza, Z. (2007). Mathematics teacher development with ICT: towards an International GeoGebra Institute. In Proceedings of the British Society for Research into Learning Mathematics (pp. 49–54). Houdement, C., & Kuzniak, A. (2006). Paradigmes géométriques et enseignement de la géométrie. Annales de Didactique et de Sciences Cognitives, 11, 175–193. Hoyles, C., & Lagrange, J.-B. (2010). Mathematics Education and Technology - Rethinking the terrain, ICMI study 17. Springer US. Hoyles, C., Noss, R., Vahey, P., & Roschelle, J. (2013). Cornerstone Mathematics: Designing digital technology for teacher adaptation and scaling. ZDM - Mathematics Education, 45(7), 1057–1070. Jones, K., & Pepin, B. (2016). Research on mathematics teachers as partners in task design. Journal of Mathematics Teacher Education, 19(2–3), 105–121. Kuzniak, A. (2011). L’Espace de travail mathématique et ses genèses. Annales de Didactique et de Sciences Cognitives, 16, 9–24. Kuzniak, A., Tanguay, D., & Elia, I. (2016). Mathematical Working Spaces in schooling: an introduction. ZDM - Mathematics Education, 48(6), 721–737. Lagrange, J.-B., & Artigue, M. (2009). Students’ activities about functions at upper secondary level: a grid for designing a digital environment and analysing uses. In Proceedings of the 33rd Conference of the International Groupe for the Psychology of Mathematics Education (pp. 465–472). Thessaloniki. Lagrange, J.-B., Dedeoglu, N., & Erdogan, E. (2005). Teachers using technology: models of the complexity of practice. In Proceedings of the 4th Conference of the European Society for Research in Mathematics Education (pp. 1505–1515). Montoya, E., & Vivier, L. (2014). Les changements de domaine dans le cadre des Espaces de Travail Mathématique. Annales de Didactique et de Sciences Cognitives, 19, 73–101. Montoya, E., & Vivier, L. (2016). Mathematical working space and paradigms as an analysis tool for the teaching and learning of analysis. ZDM - Mathematics Education, 48(6), 1689–1699. OCDE. (2015). Students, Computers and Learning. Making the connection. Paris: OECD Publishing. Ruthven, K. (2002). Instrumenting mathematical activity: reflections on key studies of the educational use of computer algebra systems. International Journal of Computers for Mathematical Learning, 7(3), 275–291. Ruthven, K. (2007). Teachers, technologies and the structures of schooling. In D. Pitta-Pantazi & C. Philippou (Eds. ), Proceedings of the 5th Congress of the European Society for Research in Mathematics Education (Vol. 5, pp. 52–67). Larnaca: Department of Education - University of Cyprus. Ruthven, K. (2010). Constituer les outils et les supports numériques en ressources pour la classe. In L. Trouche & G. Ghislaine (Eds. ), Ressources vives. Le travail documentaire des professeurs en mathématiques.e (pp. 183–199). Rennes: Presses Universitaires de Rennes et INRP. Sabra, H. (2009). Entre monde du professeur et monde du collectif: réflexion sur la dynamique de l’association Sésamath. Petit X, 81, 55–78. Sabra, H. (2015). La conception collective de ressources : des pistes pour la formation des enseignants de mathématiques ? In 17e école d’été de didactique des mathématiques (pp. 531–535). Nantes: La Pensée Sauvage Éditions. Sangwin, C. (2018). High Stakes Automatic Assessments : Developing an Online Linear Algebra Examination. In O. Hasan, W. Neuper, Z. Kovcs, & W. Schreiner (Eds. ), CME-EI: Computer Mathematics in Education - Enlightenment or Incantation (pp. 1–6). Hagenberg: CEUR Workshop Proceedings. Sangwin, C., Cazes, C., Lee, A., & Wong, K. (2010). Micro-level automatic assessment supported by digital technologies. In C. Hoyles & J.-B. Lagrange (Eds. ), Mathematics education and technology-rethinking the terrain. New ICMI Study Series (pp. 227–250). Boston MA: Springer US. Sangwin, C., & Kocher, N. (2016). Automation of mathematics examinations. Computers & Education, 94, 215–227. Schleicher, A. (2016). Teaching Excellence through Professional Learning and Policy Reform: Lessons from around the World. International Summit on the Teaching Profession. Paris. Sinclair, N., Arzarello, F., Gaisman, M. T., Lozan, M. D., Dagiene, V., Behrooz, E., & Jackiw, N. (2010). Implementing digital technologies at a national scale. In Mathematics Education and Technology-Rethinking the Terrain (pp. 61–78). Springer US. Stacey, K., & Wiliam, D. (2013). Technology and assessment in mathematics. In Third international handbook of mathematics education (pp. 721–751). New York: Springer. Sunkel, G. (2006). Las tecnologías de la información y la comunicación (TIC) en la educación en América Latina. Una exploración de indicadores. Cepal. United Nations Publications. Villarreal, M. E. (2012). Tecnologías y educación matemática : necesidad de nuevos abordajes para la enseñanza. Virtualidad, Educación y Ciencia, 3(5), 73–94. Yerushalmy, M., Nagari-Haddif, G., & Olsher, S. (2017). Design of tasks for online assessment that supports understanding of students’ conceptions. ZDM - Mathematics Education, 49(5), 701–716. Zucker, A., & Light, D. (2009). Laptop programs for students. Science, 323, 82–86.